This story includes spoilers for the fourth season of Black Mirror. In its fourth season, Netflix’s Black Mirror continued its unsettling meditation on how we interact with technology. Prior to this season, the show never directly addressed race, though people of color in America have grim, firsthand knowledge of the ways progress—both technological and social—is made, often at the expense of our bodies. Nowhere is that truer than in science and medicine. Native Americans were killed by smallpox-smeared blankets used as mass biological weapons. Modern gynecology developed through non-consensual and unanesthetized experimentation on enslaved Black women. During the Tuskegee experiment, Black men were denied treatment for syphillis, and large numbers of childbearing age Puerto Rican women during the 19th and 20th centuries were forcibly sterilized through coercion and in some cases without their consent. This harrowing history makes the “Black Museum” episode of Black Mirror so compelling and layered. 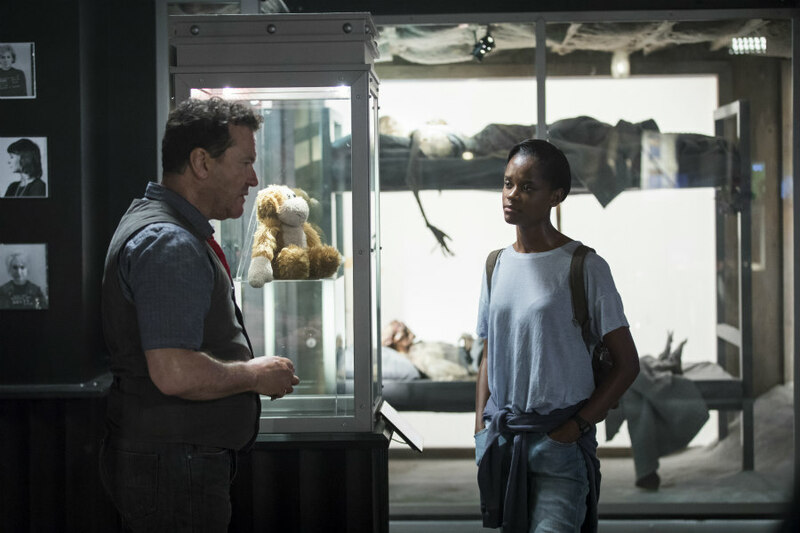 The fourth season’s last episode follows Nish (Letitia Wright), a young, Black, British woman who stops at the Black Museum during a long road trip. 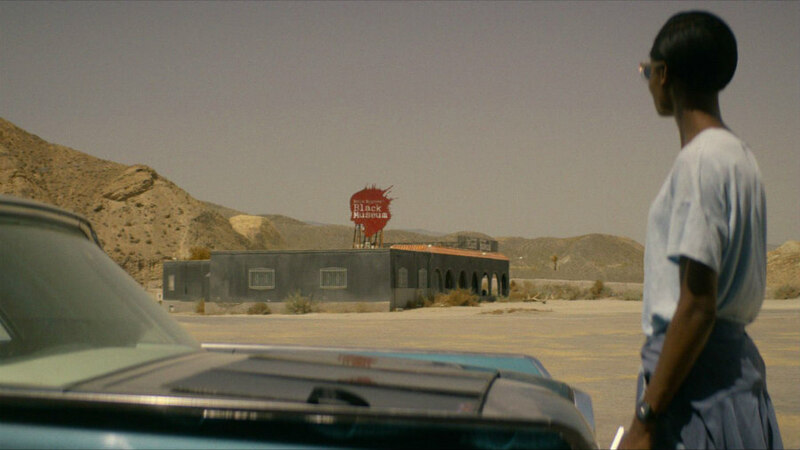 The owner, a creepy white guy named Rolo Haynes (Douglas Hodge), is a little too eager to show her the various medical and technological curiosities he’s gathered, including the “main attraction” at the end of the tour. The episode is reminiscent of the 1995 horror flick Tales From the Hood. Mr. Simms (Clarence Williams III), a funeral home director, walks drug dealers past a series of corpses with disturbing backstories, only to reveal to the trio that they’ve died and the funeral home is the gate to hell. Haynes, a former med-tech executive specializing in “neurotech,” walks Nish through a series of devices that have been declared illegal or unethical. There’s a neural cap that a doctor used to extract sexual pleasure from his patients’ pain; a device to digitally implant or transfer a person’s consciousness; and then the final horrifying exhibit: a sentient hologram of an incarcerated Black man who’s forced to relive an electric chair execution over and over for the pleasure of mostly white visitors. As they leave, visitors are given a keychain with a digital copy of his consciousness screaming for eternity. The twist is that Nish is the inmate’s daughter—and she’s come for retribution. She transfers Haynes into the digital copy of her father, who’s been electrocuted into a vegetative state, and sets the charge high enough to kill her father (“to set him free”) and also kill Haynes, which locks his soul into the keychain. As Nish sets her plan in motion, she tells Haynes about the protests against her father’s imprisonment—he was wrongly convicted for the murder of a white woman—and against the Black Museum for providing access to a series of unethical experiences. Protests against the museum essentially closed it, save for racists or sadists who pay extra for private tours. Nish burns it all down; as she drives away, she speaks to her mom who has been implanted into her consciousness. Nish’s mother received justice for her husband through her daughter. While Black Mirror’s writers didn’t acknowledge historical context, intergenerational activism has always been a critical engine in civil rights movements. In a tragically ironic parallel, the episode aired a day before activist Erica Garner was pronounced dead from a massive heart attack. Garner’s father, Eric Garner, was killed in 2015 when a New York City police officer used an illegal chokehold on him. The burden of fighting can take an emotional toll as well as a physical one. After her father’s death, Garner worked tirelessly to protest anti-Black police violence, though her activism was taking a toll on her health. “I’m struggling right now with the stress and everything,” she said in an interview with Benjamin Dixon. “This thing, it beats you down. 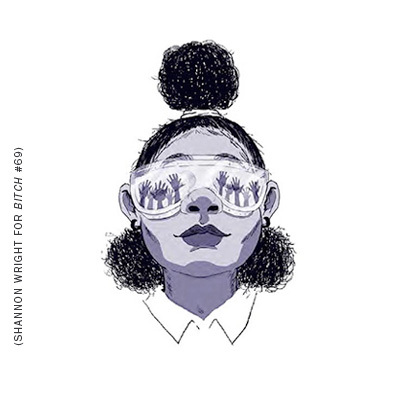 The system beats you down to where you can’t win.” Yet, she was following in the historical tradition of daughters, sons, mothers, and fathers who became activists and advocate for policy change after losing someone to police violence. Martin Luther King Jr.’s mother, Alberta, was assassinated in 1974 while playing the organ in the church where King received his foundation of knowledge about nonviolence and social justice. Venida Browder protested conditions at Rikers Island after her son, Kalief Browder, committed suicide in 2015. Venida, like Erica, died of a heart attack after her son died. A future, fictional Nish fits squarely into that praxis, particularly because Nish’s mom committed suicide after seeing her husband’s torture. Seeing him in that state “broke her,” Nish says in the episode. The kinkeeping and carework that women are primarily tasked with is also an important part of intergenerational activism. On Black Mirror, Nish and her mom are taking care of each other, via implanted consciousness, and working to fulfill a plan of resistance and retribution. The deaths of young Black men and women around the country have been raised in our collective consciousness because of the mothers, wives, sisters, girlfriends, and daughters who won’t rest until political change leads to justice. Black Mirror could have more deeply engaged with this historical context by choosing an actual location for the story—more museums are slated to open in the American South that explore slavery or lynchings. It could have also focused on the protests or activists instead of centering Rolo’s perspective. Dionne Warwick’s song “(There’s) Always Something There to Remind Me” buttresses the beginning and end of the episode—a fitting nod to the themes of memory and justice. Nish drives down the road to an unknown destination, which suggests that the fight for civil rights has no end—each generation has new things to contend with. And as technology evolves, there will be new ethical battles to confront. 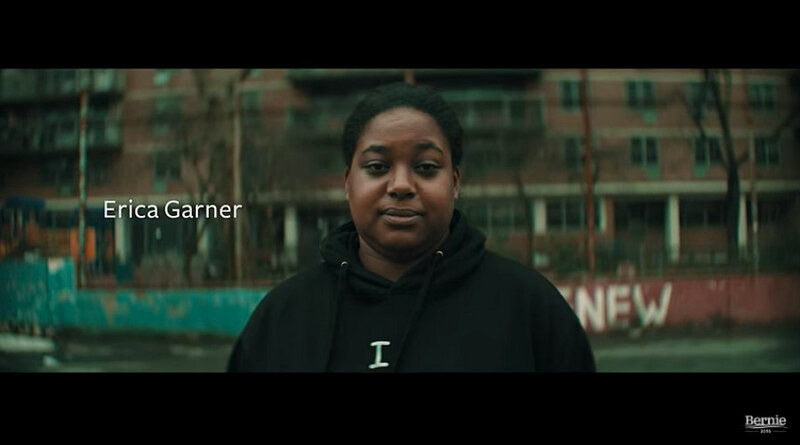 Few people knew this as well as Erica Garner since the increased portability and ubiquity of technology allowed her father’s death to be broadcast all over the world. In 2016, she wrote in the Washington Post that her activism was not just for her father, but also “for my daughter; it’s for the next generation of African Americans.” The struggle for justice and full participation in American society continues, and “Black Museum” is a mirror that reflects the past and future of Black activism. This article was updated on January 10, 2018 to reflect that Black women were denied treatment for syphillis during the Tuskegee Experiment. Stacie Williams is a writer and librarian/archivist in Cleveland, Ohio.